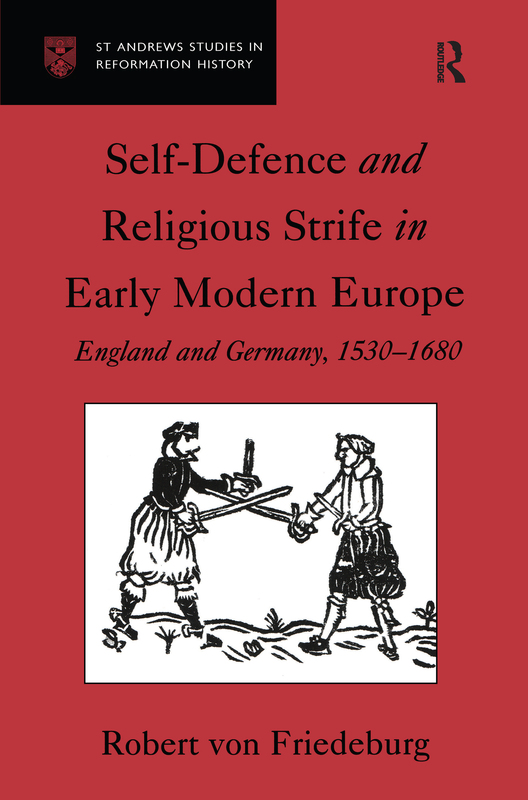 Recent research has begun to highlight the importance of German arguments about legitimate resistance and self-defence for French, English and Scottish Protestants. This book systematically studies the reception of German thought in England, arguing that it played a much greater role than has hitherto been acknowledged. Both the Marian exiles, and others concerned with the fate of continental Protestantism, eagerly read what German reformers had to say about the possibility of resisting the religious policies of a monarch without compromising the institution of monarchy itself. However, the transfer of German arguments to England, with its individual political and constitutional environment, necessarily involved the subtle transformation of these arguments into forms compatible with local traditions. In this way, German arguments contributed significantly to the emergence of new theories, emphasising natural rights. Contents: Preface; Introduction: Sovereignty and religious strife: the state of the argument on resistance and self-defence; The Rule of Law Vindicated: Reform and reformation: resistance and defence in German lands 1488-1528; Self-defence and social status: the model developed - Torgau to Magdeburg 1529-1550; The delicate balance: the rule of law and religious strife in the Empire 1555-1620; Patriots and peasants: self-defence and the horrors of war, 1618-1648; The Rule of Law Disintegrated: Necessity, Self-Defence and the Reception of German Political Thought in England 1553-1648: The Marian and Elizabethan reception of German thought on resistance; Monarchy, obedience and German precedents 1588-1630s; Religious strife and self-defence 1638-48; Conclusion: self-defence, religious strife and political thought; Bibliography; Index.